President Buhari has joined world leaders and well-wishers in congratulating German Chancellor Angela Merkel on her victory at the polls. In a statement released by his special assistant on media and publicity, Femi Adesina, President Buhari felicitated with the German Chancellor’s party for producing leadership for the country for over 12 years, and winning another opportunity to sustain the legacy of good work. The President recalls his interactions with Chancellor Merkel over the years, especially at the G8 meeting in 2015 and during his visit to Germany in 2016, coming away with a strong impression of her commitment to building stronger ties across the world. 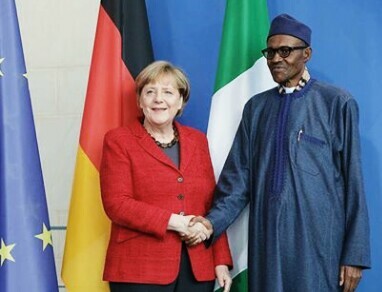 President Buhari wished the German Chancellor a successful tenure.